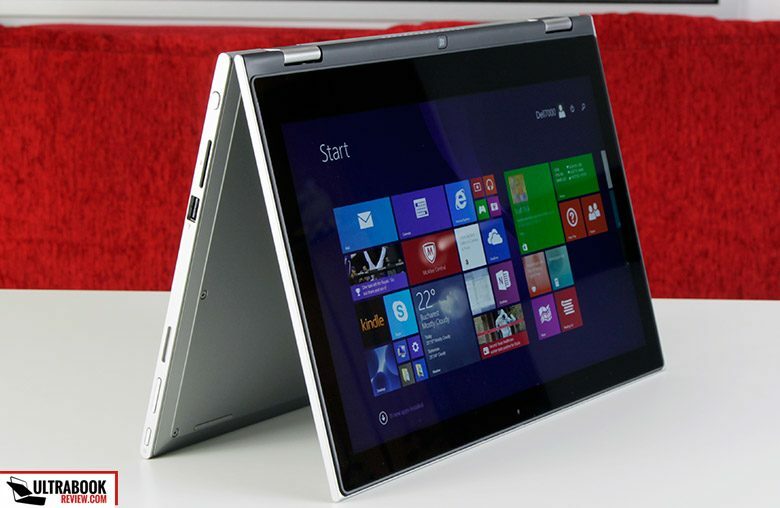 Summary: The Dell Inspiron 13 7000 is one of the best affordable 2-in-1s available right now. 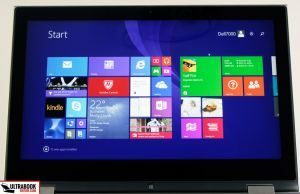 It starts at $599 and for that kind of money you're getting a good looking and solid built device, with a 13 inch IPS touchscreen, a comfortable keyboard and Haswell hardware. It does have one or two quirks though that might break it for you, as you'll find out from the review. 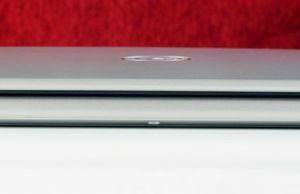 Hey guys, this is my detailed review of the Dell Inspiron 13 7000 series. 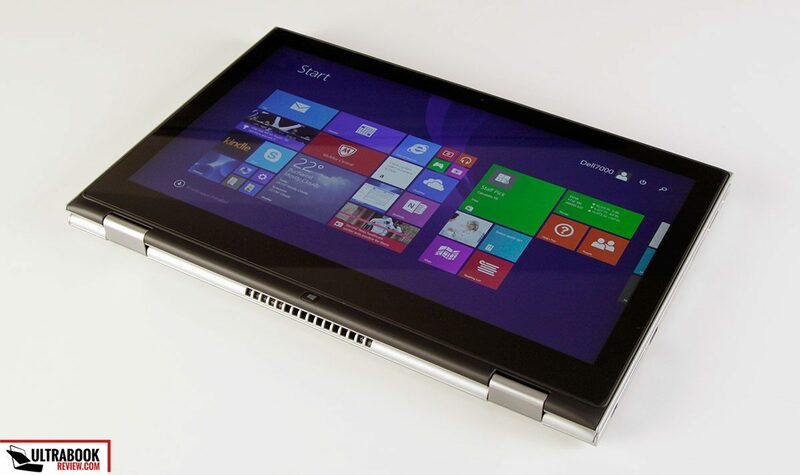 We have the retail version of the Inspiron 13 7347 model for tests and it is a 13 inch 2-in-1 convertible laptop, Dell’s alternative to the Lenovo Yoga 2 13 or the Asus Transformer Book Flip TP300. 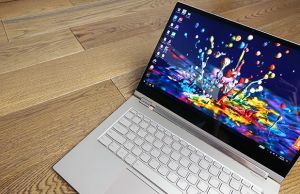 It offers a Full HD IPS touchscreen, Intel Haswell hardware, a backlit keyboard and most of the features you’d expect from a modern 13 inch ultrabook, for between $650 to $900 at the time of this post, based on the configuration you’ll end up choosing. 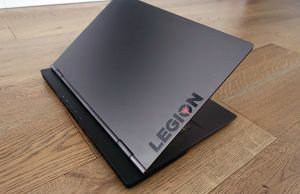 You should definitely look at this device with the price in mind, because there are overall better 2-in-1s out there (like the Lenovo Yoga 2 Pro) and more are going to be available once the first Broadwell laptops pop-out. 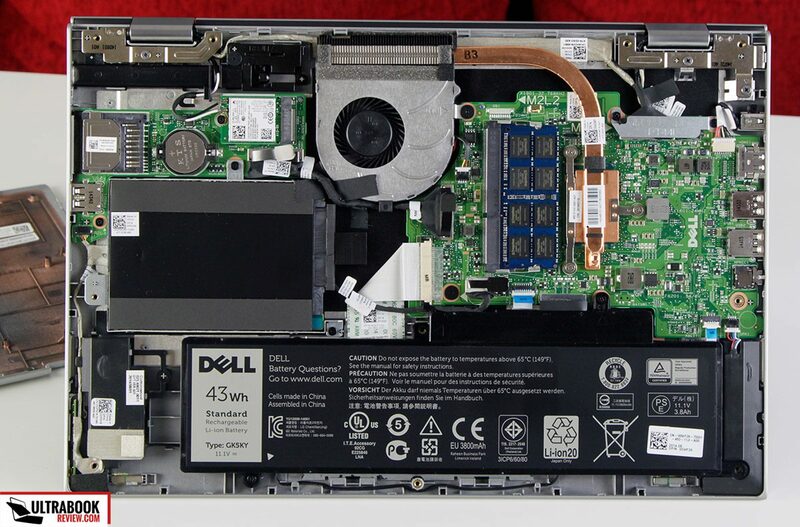 Next to those, the Dell Inspiron 13 7347 (as well as the Yoga and the Transformer mentioned above) is bulkier, heavier and slower. But it sure offers plenty for the money, especially when your budget is tight. And on top of these, it can be later upgraded and improved, as you’ll see from this post. 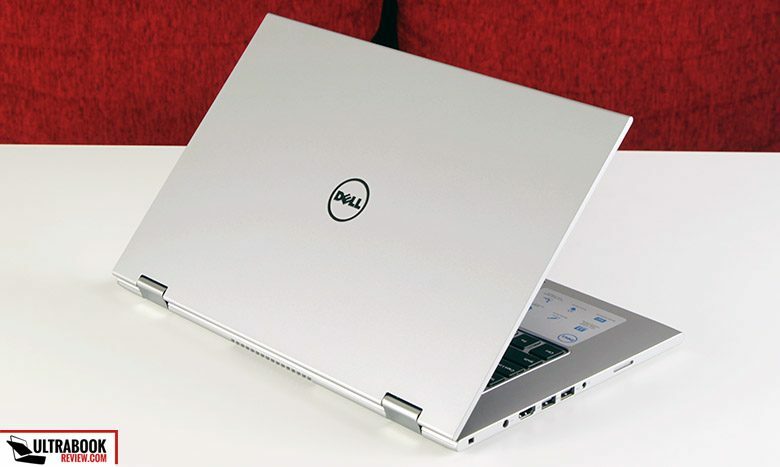 All the goodies you’ll get on the Inspiron 13 7000 are tucked inside a nice looking silver case. 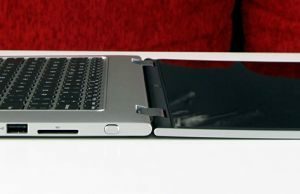 It’s made from plastic, but it actually feels very strong, as the laptop hardly bulges even when pressing on the lid-cover or in the middle of the keyboard. The entire body has a soft rubbery coating which offers excellent grip and at the same time I believe it should resist scratches quite well. 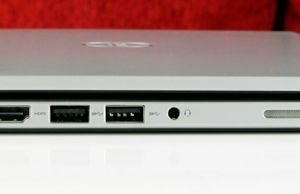 This Dell has an unique allure as well and I liked it from the moment I got it out of the box. The longer edges are nicely rounded, while the left and right sides are straightly cut, and that makes-up for both a beautiful and a practical design. 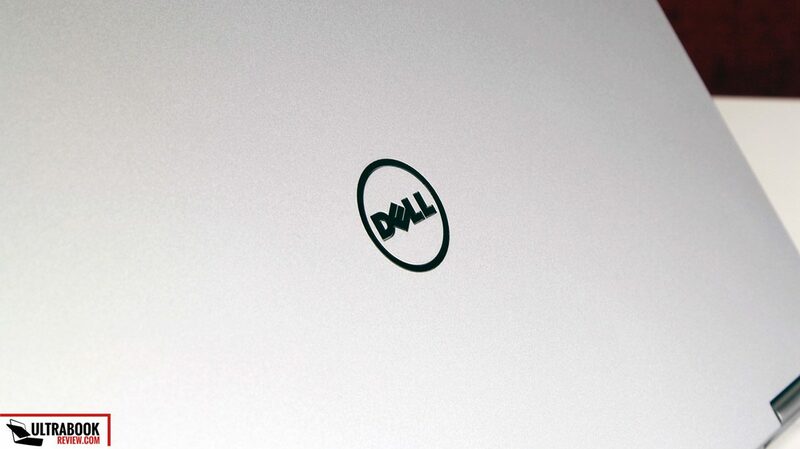 This aesthetics are actually simple, with just a Dell logo on the hood and some stickers on the palm-rest and the back (which could be easily peeled off). On the other hand the Inspiron 13 7000 is heavy, tipping up the scales at about 3.7 pounds, and not the slimmest 13 incher out there either. As long as you’ll keep it on a desk, that shouldn’t bother you at all, but once you pick it up or turn it into a tablet, you’ll quickly feel the weight. 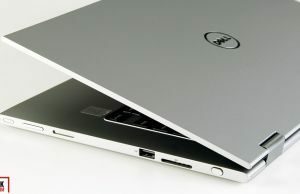 Regardless, I’d say Dell hit a nice compromise here: they made the laptop a bit heavier, but at the same time built it strong. 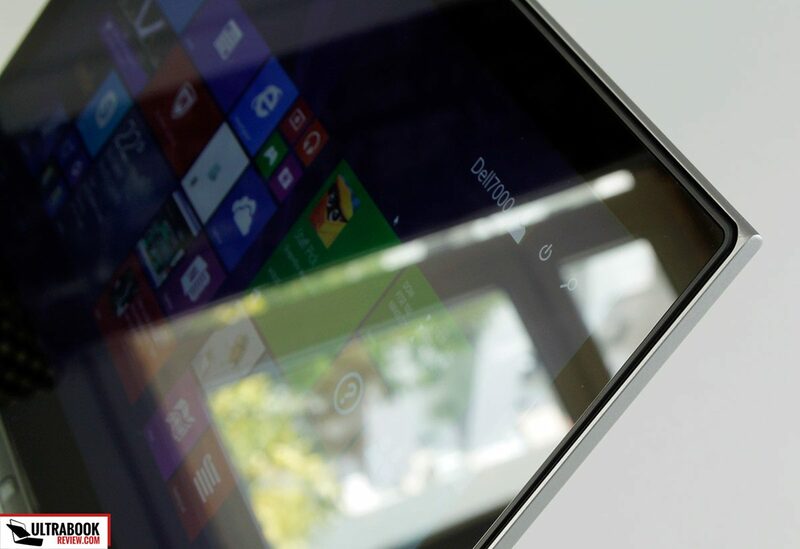 As mentioned earlier, this device is a convertible and its screen flips around the back to 360 degrees. Two hinges put it in contact with the body and they are made of metal and able of keeping the display firmly in place exactly how you put it. 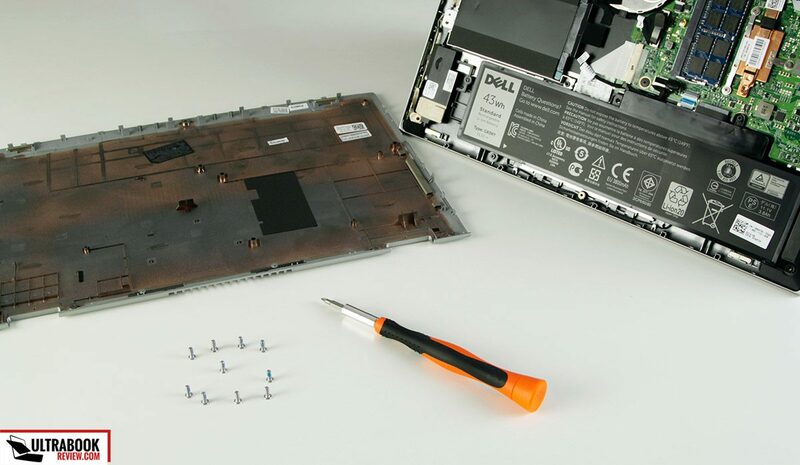 Just like on other laptops built on the same form factor, the keyboard remains exposed underneath when having this in stand or tablet mode, but the guys at Dell were careful to minimize the risks here. 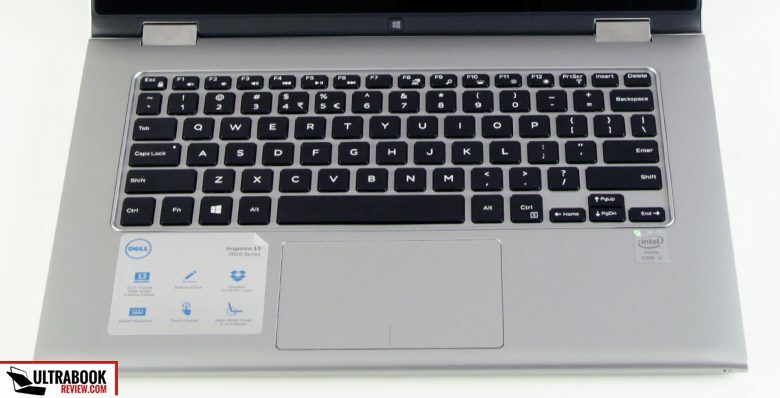 On one hand, the keys and the trackpad are deactivated once the screen goes past 180 degrees, and on the other the keyboard is recessed and framed by a plastic rim that’s just a bit higher than the keys. So when you’ll put the laptop down as a stand, it will lean on this rim and not on the keys. 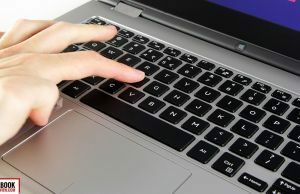 At the same time, the rim is less pronounced towards the front of the laptop so it won’t interfere with the typing experience. All these are small details, but they do make a difference in daily use. 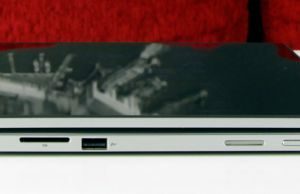 As an extra aspect worth mention, there are two magnets on the laptops front edge, meant to prevent the screen from lifting accidentally. And they exceed at their job. I‘ll also tell a few things about the IO. You’ll find a Lock (Noble Lock, from what the commenters are saying; a Kensington lock won’t fit) on the right edge, next to the PSU, the HDMI port, two USB 3.0 slots, the headset jack and one of the speakers. 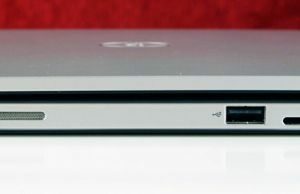 The other is placed on the left edge, where you’ll also find the power button, a volume rocker, an USB 2.0 port, the card-reader (which can fit an entire SD card) and the stylus I was mentioning earlier. There’s also a battery activity monitor on the front lip. The laptop’s back is simple, with four well made rubber feet and no cooling cuts. 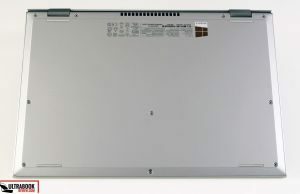 You can take the entire back panel apart by unscrewing the dozen Philips screws holding it in place and that will allow access the internals. But more about that in a sec. Speaking of that keyboard, I can conclude in few words that I like it. 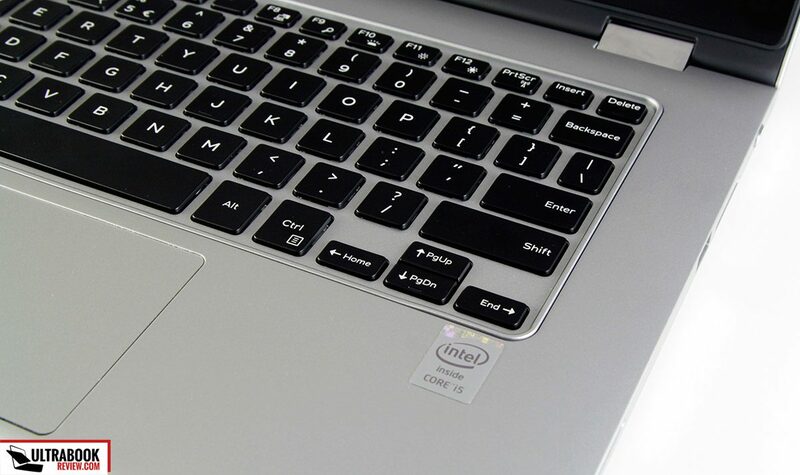 Dell went for a simple chiclet layout with black keys, so everything is just how and where you’d expect it to be. The top row defaults in quick toggles for adjusting the sound volume, screen’s brightness and so on, and that took me a bit of time to get used to, but it’s not a deal-breaker by any means. I had no problems typing several thousand words on this keyboard. 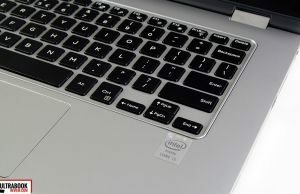 The stiff keys offer good feedback and travel deep enough inside the frame for this class, so I can say this Dell is suited for a heavy typist, placing the overall experience next to what you’re getting with Lenovo ThinkPads or the Macbook Airs these days. The keyboard is also backlit and you can adjust the brightness level manually by hitting the F10 key, or you can turn off the illumination if you want to. 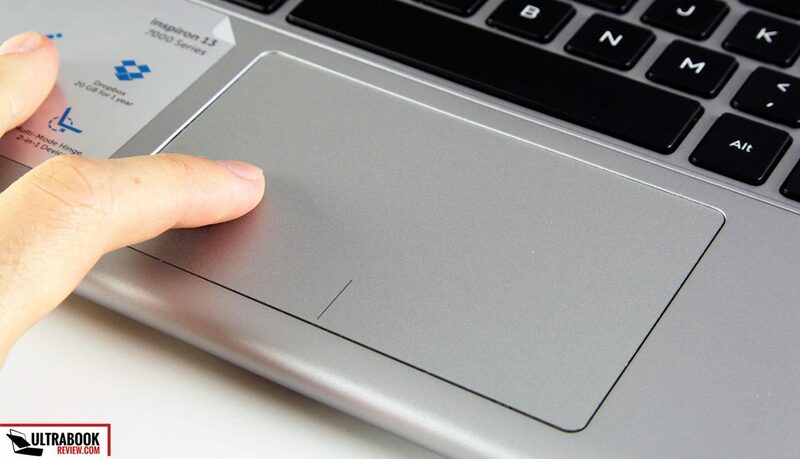 I do have mixed feelings about the trackpad though. 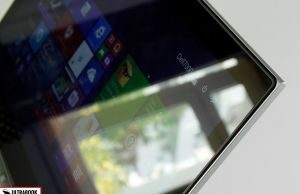 Its surface is rough and feels like some sort of sand-paper, which is a lot different than the glass clickpads offered by most modern ultrabooks these days.But that’s OK, one could get used to the feeling. 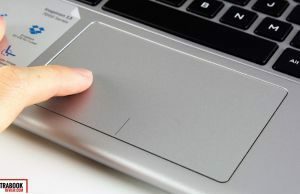 However, while the this trackpad was mostly accurate and responsive, the cursor would occasionally get jumpy and even perform clicks all by itself out of the blue. And that can be really annoying and should be addressed, as it’s probably a drivers glitch. 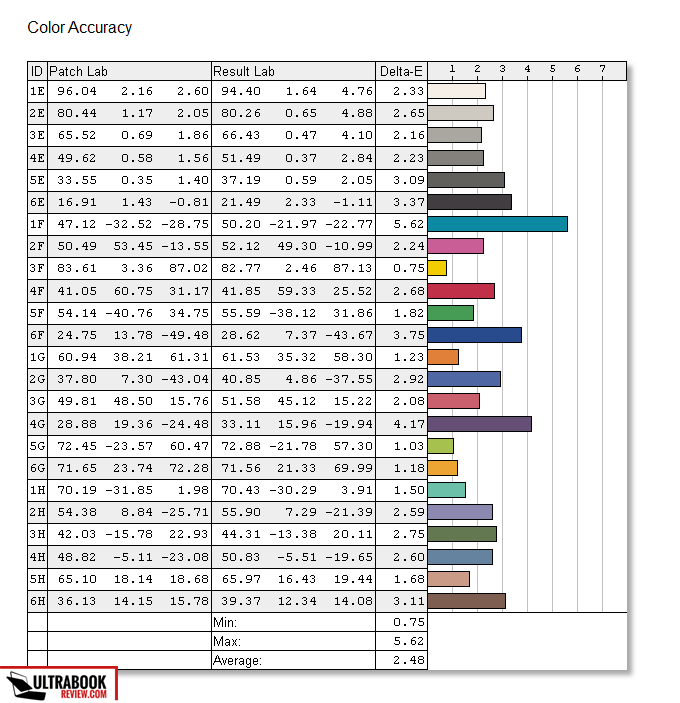 average DeltaE: 2.48 uncalibrated, 1.06 calibrated . 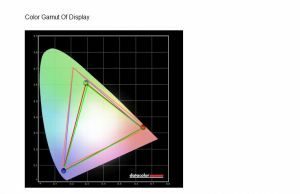 The Max brightness is just shy of 300 nits, which might not be enough if you plan on using the device outdoors or in bright light, and the brightness distribution isn’t great, with the lower part of the screen dimmer than the rest. 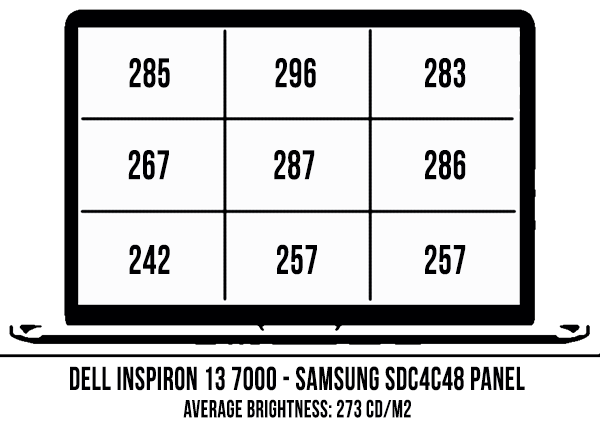 The panel also has an overall cool (blue-ish) tint, with its White Point at 7500K, but these aside, there’s not much to complain about this screen. 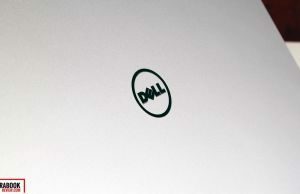 Dell does include a stylus with the laptop, which can be tucked away in its slot placed on the right edge. Its just a capacitive stylus though and the screen lacks a digitizer, thus cannot be properly used for taking notes and handwriting. In fact, it can barely be used for drawing unless you make sure to touch the screen with the pen only, as palm-rejection isn’t working as it should, at least not in the apps I’ve tried. So while the stylus is a nice addition in theory, in reality it’s mostly something you can use when you don’t want to touch the screen with your fingers, but not much else. Update: Many buyers reported ghost touches on this screen. I haven’t encountered the same issue on my test unit, but that’s something to be aware of. It’s a real problem on some models. From what I understand, these might not be visible from the start, but can appear later on, after a few months of use, and there’s no fix. 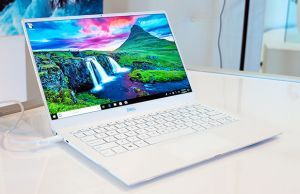 Check out the comments section at the end of the post and Google for “dell inspiron 13 7000 ghost touches” for more details. Besides that, a few users reported uneven back-lightning, which is noticeably lower towards the corners. 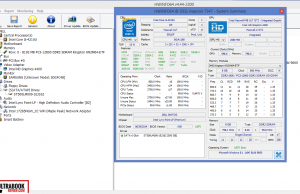 This is not a software problem from what I can tell, as the issue persists in BIOS as well. Again, see the comments section for details. 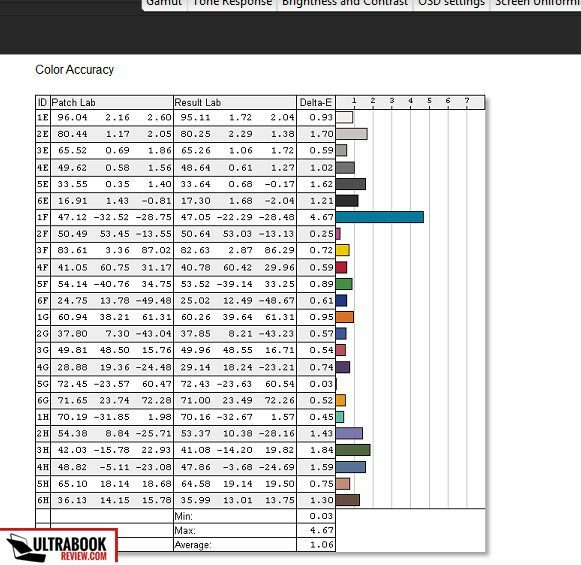 Performance wise, this laptop is just like many other Haswell built ultrabooks available right now. 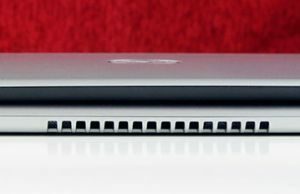 The tested configuration includes an Intel Core i5-4210U processor, 8 GB of RAM and a 500 GB SSHD (with an 8GB flash included). The good news is that both the RAM and the storage are upgradeable. As you can see in the pictures below, there’s a single memory stick on this unit (thus you can only get a maximum of 8 GB of RAM on it) and there’s a 2.5 inch storage bay that houses a Seagate ST500LM000 SSHD. That’s a 9.5 mm drive and can be replaced with any 2.5″ 7 or 9.5 mm HDD, SSH or SSD. Sry for the confusion, I was wrong. 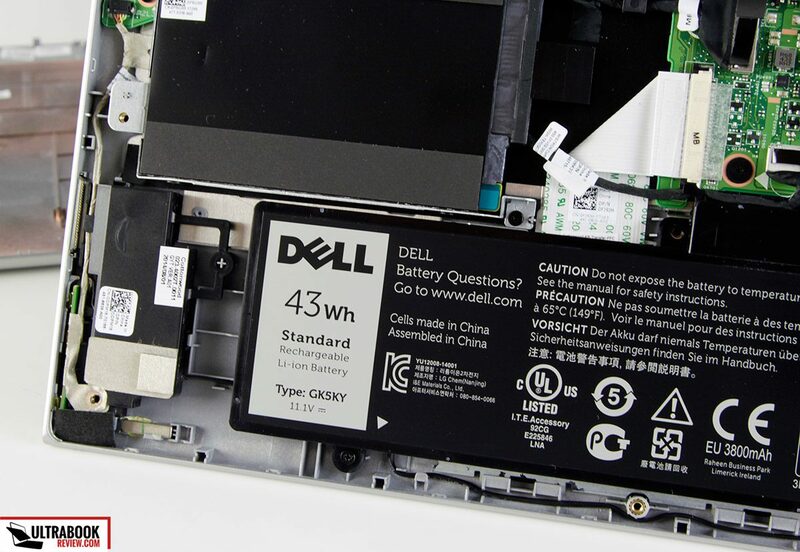 There’s also a slim version of the ST500LM000 and it looks like that’s what Dell put on this unit. A few of my readers pointed out a 9.5 mm drive might be difficult (not impossible, but difficult) to get on this unit, so you’d better stick to 7 mm drives. 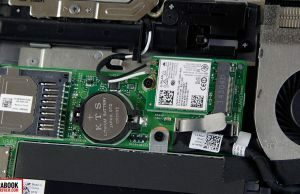 There no half-size mSATA spare port that some other manufacturers use for small caching SSDs in order to boost performance. 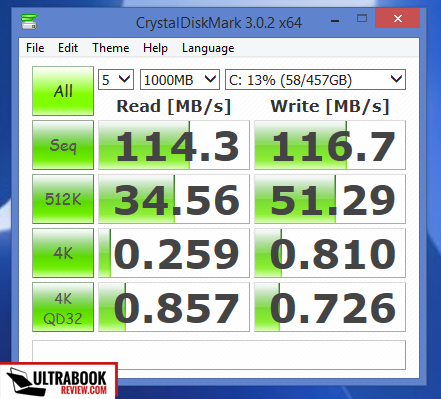 That’s why the HDD is a bottleneck on this Dell and causes slow booting and loading times. 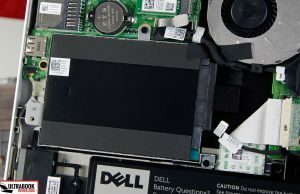 Replacing the HDD with an SSD should make a big difference and from what I can tell, performing the upgrade yourself is only a matter of unscrewing a few screws and won’t void warranty (there’s no warranty sticker on the HDD cage, unlike on the Transformer Book TP300), although you might want to ask Dell’s support about that before jumping in. 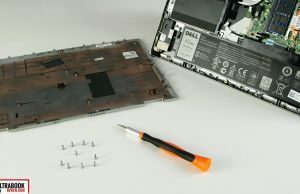 Popping out and replacing the battery and the Wi-Fi is not a complicated procedure, once you get through the 12 Philips screws holding in place the back cover, so when it comes to serviceability, I’d say Dell did a fairly good job with their Inspiron 13 7000. 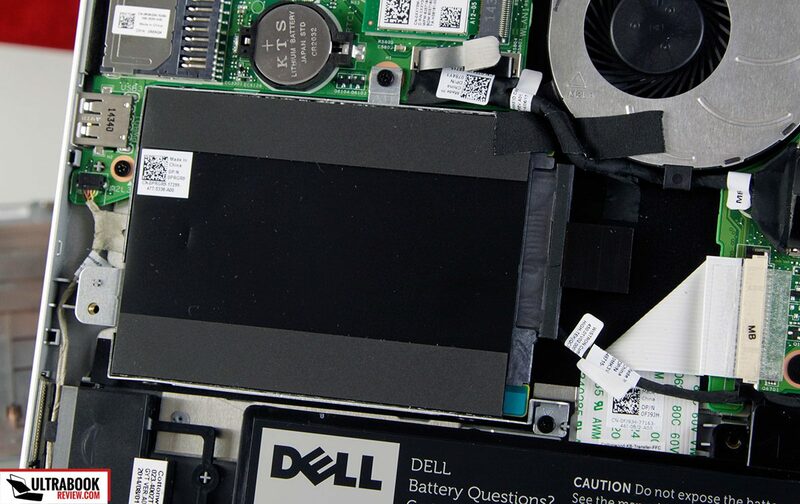 This post looks closely at this Dell’s hardware, and you might want to check it out if you plan on performing any upgrades. 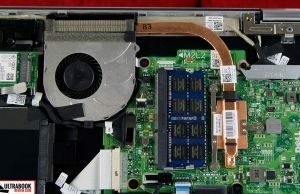 The hardware is fan cooled on this Dell, but the fan will remain mostly switched OFF as long as you’re using the computer lightly. It will kick in when needed and it roars up to about 45 dB at 50 cm away from the laptop (mostly where a user’s head would be), so noise is never a major complain here. But keep in mind this laptop is never completely silent, as it comes with a spinning HDD, although that can be addressed if you want to. 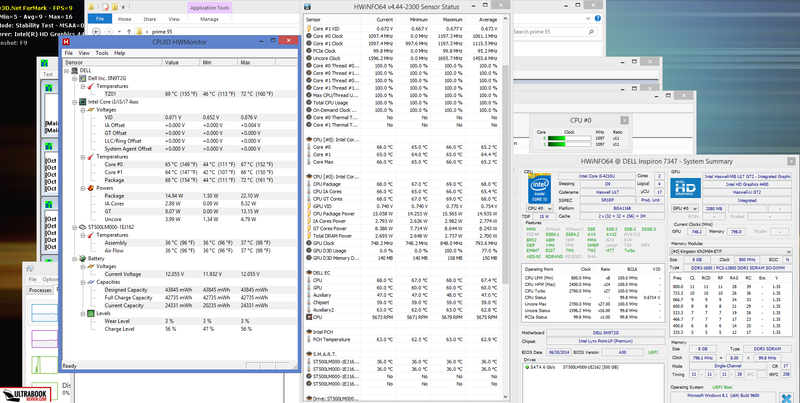 Temperatures are also looking really well on this thing. 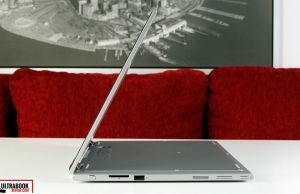 The body remains cool with light use and the air is blown out through the large exhaust on the laptop’s back. 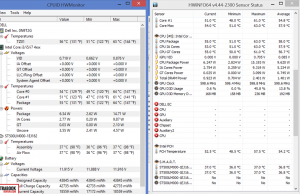 Even under load, both the internals and the frame only reach average temperatures, as you can see from the pictures below. 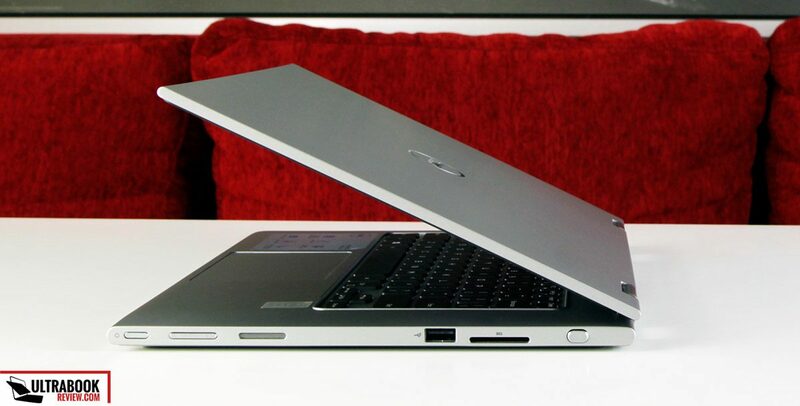 So I could summarize this Inspiron 13 is lapable in pretty much everything you’ll throw at it. The speakers are placed on the sides, as I mentioned before, and they are fairly punchy. Running Pharell – Happy from Youtube at max volume results in readings of up to 91 dB on my iPhone app (Decibel 10th), at 50 cm away from the laptop, and that’s good enough for me. The audio quality is meh though, as these speakers sound tinny and lack any kind of base. 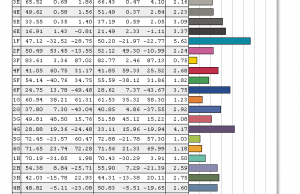 But it’s not like you can find significantly better in this class. 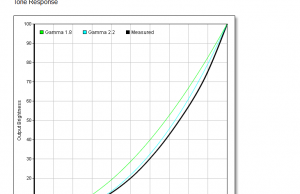 *Load – stress test with Prime 95 and Furmark for 60 minutes. 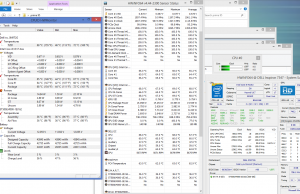 While performing the stress test, the CPU’s frequency stabilizes at 1100-1200 Mhz (jumps between these two values) and the graphics run at 800 Mhz. There’s no sign of throttling under normal use. Connectivity wise, there’s Bluetooth and Wi-Fi N on this laptop. 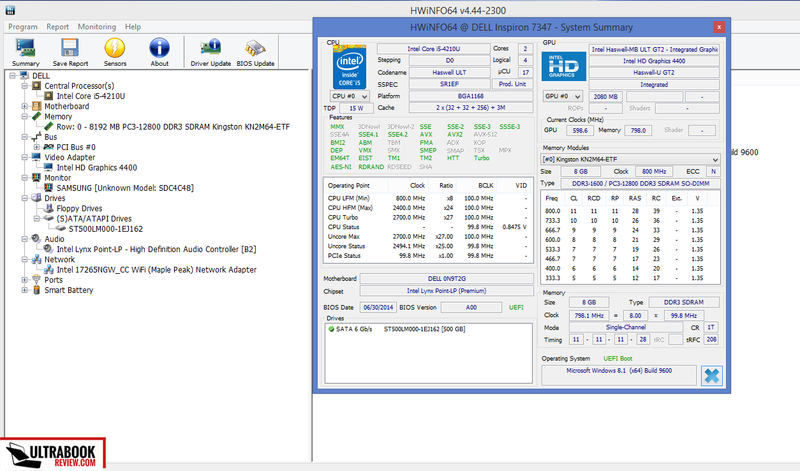 The included Intel Dual Band Wireless-AC 7265 chip is a solid performer and was able to maximize my Internet connection. The speed does drop to about 50% at about 30 feet away from the router, with 2-3 walls in between, but that’s normal. There’s also a decent HD camera on top of the screen, good enough for Skype calls and Hangouts as long as there’s sufficient lightning. 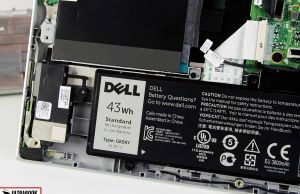 Dell did somewhat cut the corner when it comes to the battery, going for a 43 Wh one, while both Asus and Lenovo pack 50 Wh batteries on their options. 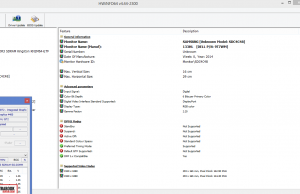 idle, min brightness, Dell Mode – 4.5 Wh. When idle though and with the screen completely dimmed, the laptop will offer about 8, maybe 9 hours of use, so there’s a fair chance you might get more than what I got out of it, if you’ll manage it more carefully. 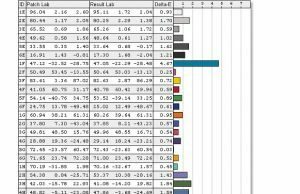 I’ve kept my unit constantly on the Dell Power profile and I haven’t seen any major difference when experimenting with the others. There’s a 65 Wh power-brick included with this unit, with a long cable. 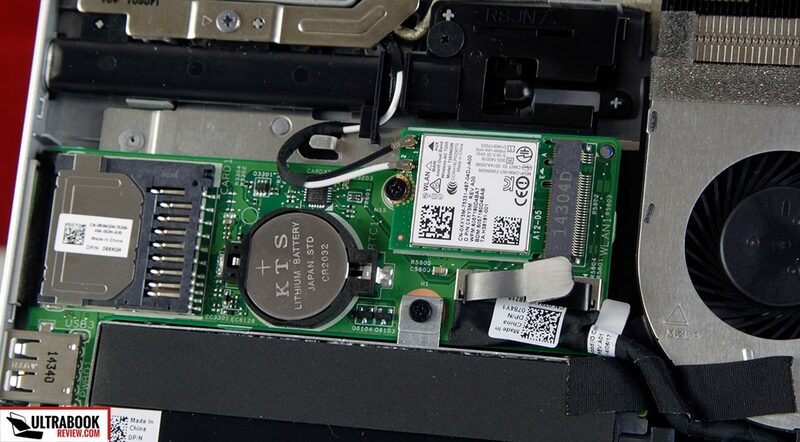 However, you need to be careful when connecting this PSU, make sure you push the tip properly in its place, otherwise you’ll get an annoying message that says that the charger isn’t recognized and the laptop cannot charge. That happened 3 times to me in the last week. 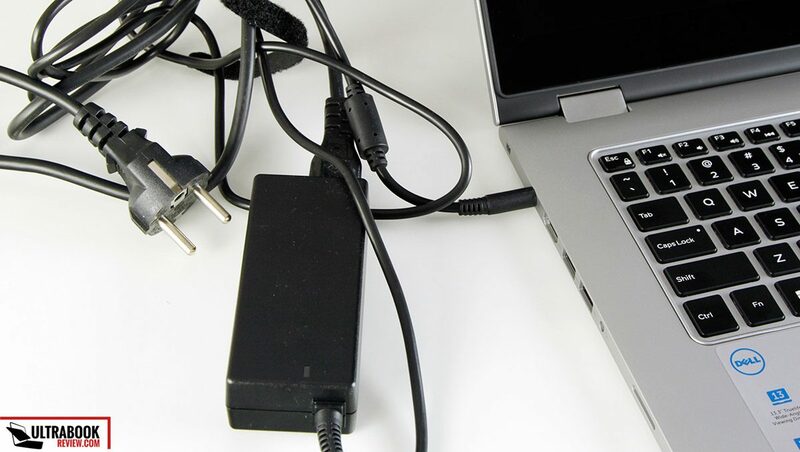 If it does to you, just remove the tip, restart the laptop and reconnect the charger, that did the trick for me. 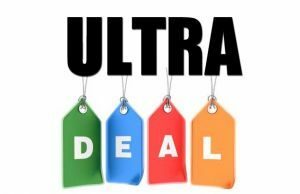 Dell offers this laptop in a bunch of different configurations right now, starting at around $600 for a Core i3 / 4GB RAM, 500 GB HDD model. 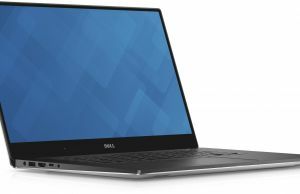 The tested variant is available for $799 on Dell’s website and even cheaper on some other webstores, and that’s a fair price imh. Similarly configured Lenovo Yoga 2 13s sell for about $850 to $900 and the Asus Transformer Book Flips TP300 for about $700 (in fact, the Q302LA model available in the US). And it’s not like these two don’t have their own share of minor issues as well. 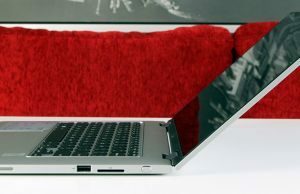 At the end of the day, while not without quirks, the Dell Inspiron 13 7000 is a good device and should be on your list if you’re after a 13 inch 2-in-1 convertible and only have about $700 to spend (I’ve also made a list of affordable ultrabooks, in case you’re interested). My major complains are the unreliable trackpad and the rather short battery life. 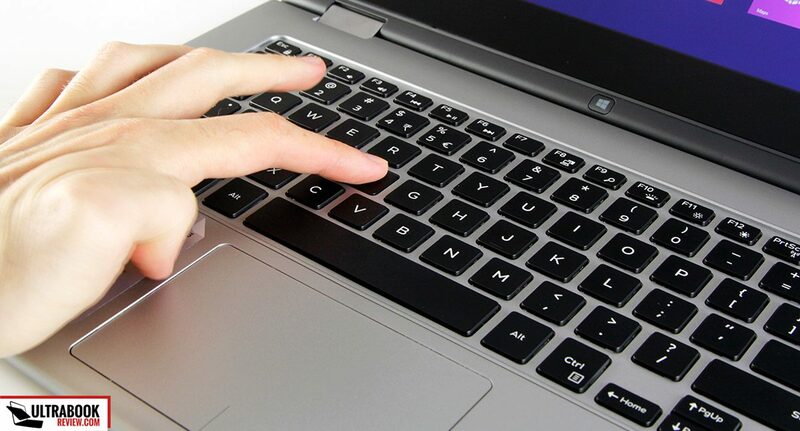 There’s nothing you can do when it comes to this latter aspect, other from using your laptop carefully when you’ll need to squeeze the most out of it. The trackpad though should be theoretically addressed with some future drivers update, but I wouldn’t hold my breath for that. 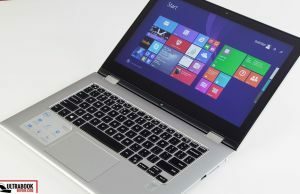 Even so, I really liked this laptop. Aesthetically, I believe it looks and feels overall better than the Lenovo and Asus competitors, although it’s just as heavy as those. Its screen is almost excellent and its keyboard is a strong selling point. 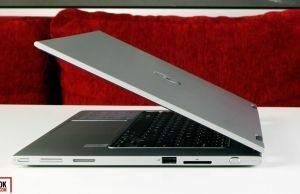 Anyway, that’s about it for now, those were my impressions of the Dell Inspiron 13 7000 series. A good buy, but with a few quirks that could break it for some of you. The comments section below is open if you have any questions or anything to add to this review, and I’ll be around to reply. 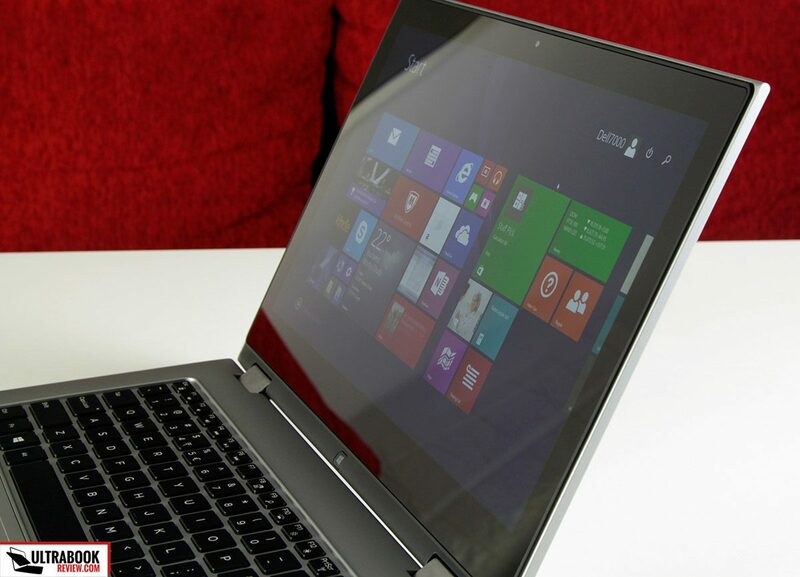 Hi, wondering which I’d get more value from: this Dell Inspiron 13 or a 2015 MBA 13″ 128GB. Both are about $999. 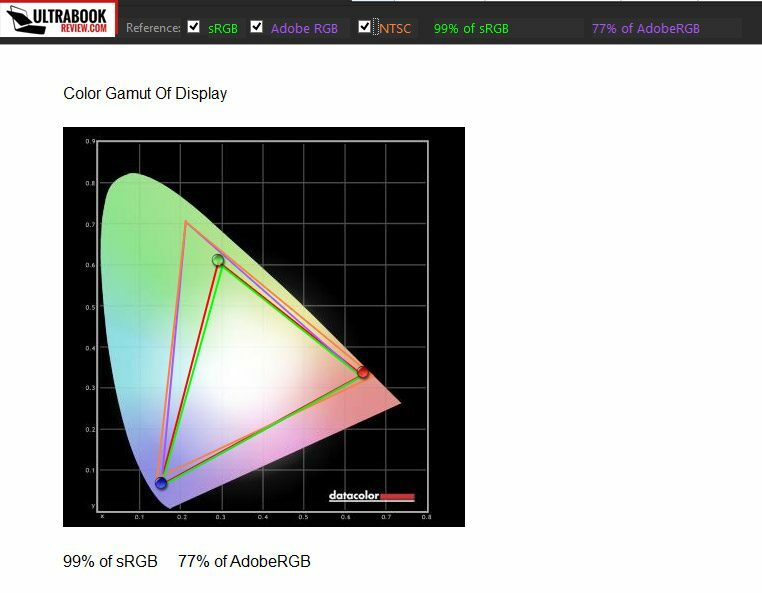 I’ll be mostly using it for Photoshop work. Might also use Premier sometimes. Thanks! The MBA packs a faster processor, but I’d guess you can get more RAM and a larger SSD on the Dell for $999, right? 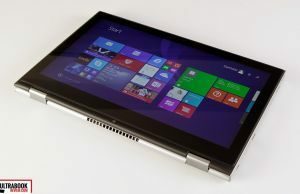 Also, with the Dell you get the form factor and the touchscreen. There are some drawbacks with this machine to be sure. I wouldn’t characterize battery removal that requires one to take out 12 screws as a piece of cake, seriously, a piece of cake? That’s right we all carry a micro Phillips screwdriver all the time to get to a battery, I mean you never know…..
You’re right, it could be easy for someone who’s experienced with such stuff, but otherwise complicated. I’ve toned down that section, thanks for the heads up. Reliability is something I for one find impossible to address in such posts. I get to use these devices for about 1-2 weeks and there’s only that much I can observe in that period. The products I own I treat more in depth and usually come with a follow-up review after a few months. 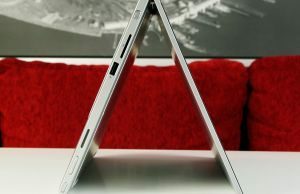 My XPS 13 series is one example. I feel the best way to find out about reliability issues is to go through the user reviews on sites like amazon or bestbuy, but also the forums on notebookreview.com . That’s what I do when I try to buy something for myself. Reviews like this one are just one step of the search and help narrow down options. At the end of the day, any laptop can break. From the premium brands down to the low end OEMs, and that’s why I advise people to get extended warranty, if possible. Hey Andrei. Just a comment on the security slot. Kensington locks do not fit in the security slot. Looking on the internet i found the nobel wedge lock will fit, but could not get confirmation from dell (i had a chat with someone from dell accesories but they did not have any information about the lock). I’m buying a lock from Nobel (quite overprized by the way) and expect it will work fine. Does anyone else have a problem with the plastic coating peeling off the cover – just around each far corner on the lid. So disappointing as my Dell has not done a lot of work and has been carefully looked after. I found that the screen cracks very easily when closed because there is no support on the curved corners. I heard a crack when I picked mine up with one hand from the table. Upon opening it, I found a spider crack in the upper left corner. Dell support said that this was not covered by the warranty. I’ve owned it for less than a month. Can you plug it in to cigarette lighter with adapter or slot in vehicle? 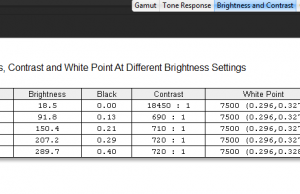 I have noticed that my Dell Inspiron 13 7000 series does not have the same screen resolution on images than text. Every time I am on internet the headers looks a little burry and the text content on the website looks perfect. I just tried to reinstall the video drivers but It is sitll the same. 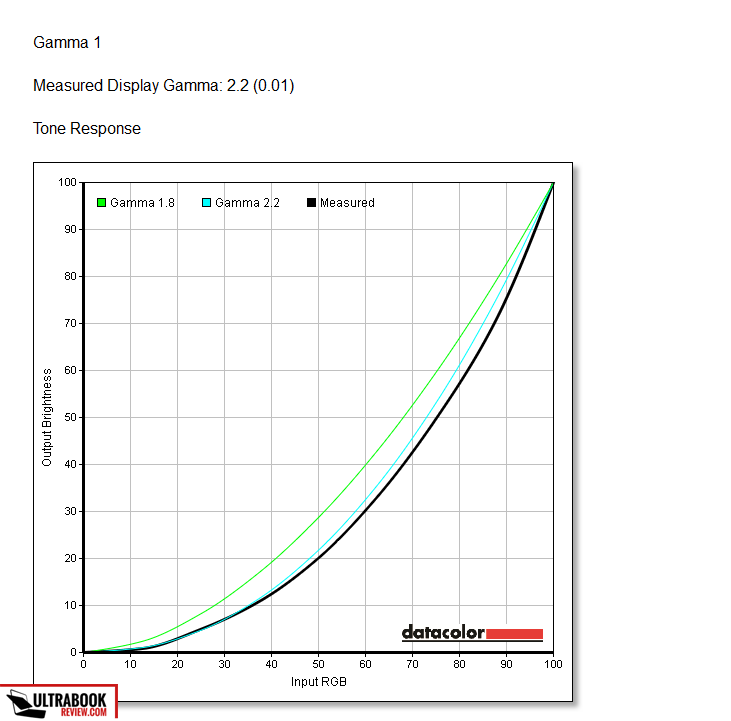 does this model have OTG functions? I am looking at a card adapter that says it wants the computer to support the OTG function. Does my Inspiron 13 support that? Hello, Great article, I couldn't of wrote a better one. I own the Inspiron 13 7000, intel core i3. I am interested in upgrading her for better way of gaming. What would be a good starting point? Anything that I should research? 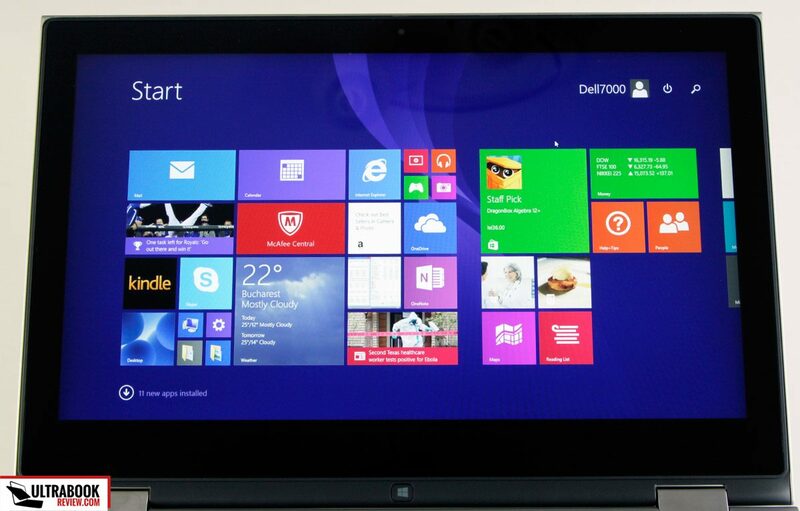 Is it worth upgrading the Dell Inspiron 7000? Any help or explanation will be appreciated. Thank you for reading!!! This is a pretty old article. You could tell us what kind of games you're interested in playing and what's your budget. 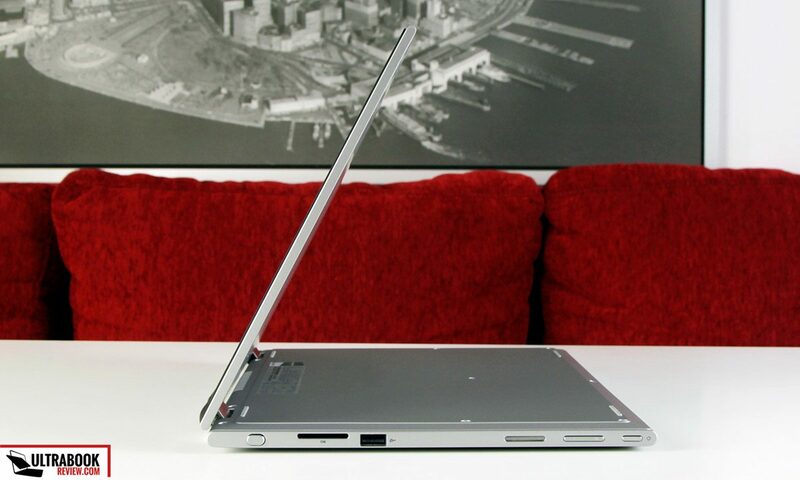 Also if you want a 13-inch laptop or can go for a full-sizer 15-incher as well. Thanks. Brought the 13" for my son about 3 years ago now. It has gone to school and Scout camps in nothing but his school bag, rattling around with his books. He is a typical boy (now 16), so the machine is plastered with stickers and has lived a hard life. It has not experienced any of the problems people seem to have experienced, it must have been the "Blessed one". Not even a software hiccup (but that might be due to good set up, I am in the "Trade"). The only thing wrong with it is the Battery. My son removed it with a standard Phillips head (no micro screwdriver required) . Seriously its NOT THAT HARD. The Battery has blown one of the cells, over heating probably, it is about 3 years old after all. Here in NZ it'll cost $NZ48 to get the replacement. so ya do it. 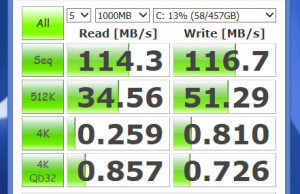 I'll replace the HDD with a SSD at the same time for a bit more speed. 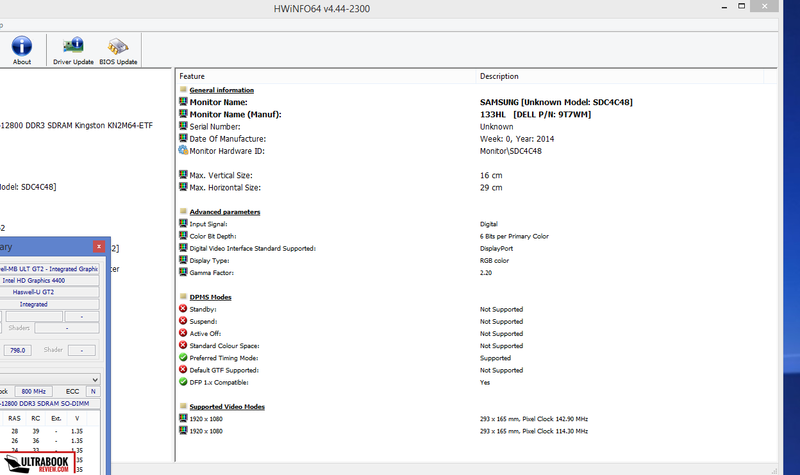 I just happen to have a Samsung evo 860 (500Gb) spare (Like I said, I am in IT). So all up for NZ$250 I can get it going again better than before. 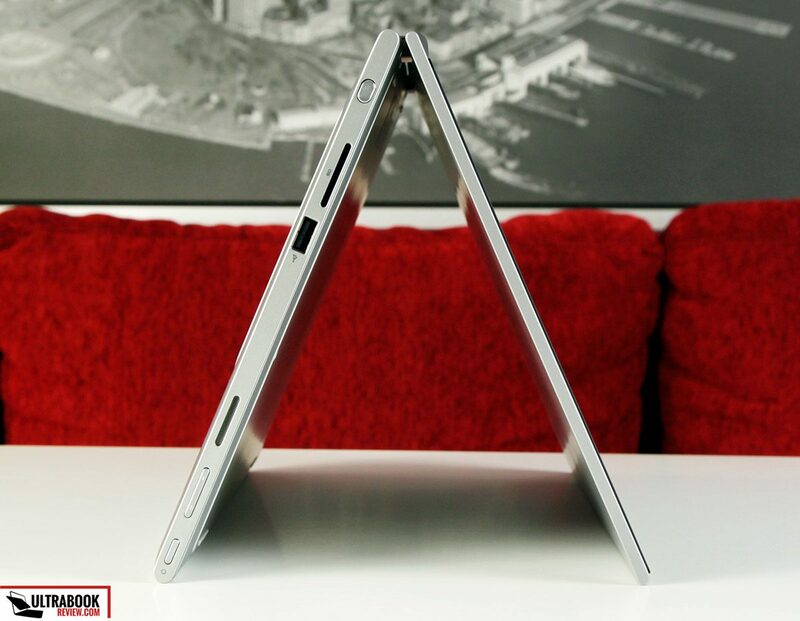 The form factor is ideal and it has proven robustness. a little speed gain will give it a few more years perhaps. GREAT. I'll note, my son also has a far more capable workstation for design and games. The laptop just can't stretch that far. Would I get another : YES. Thanks for the information. 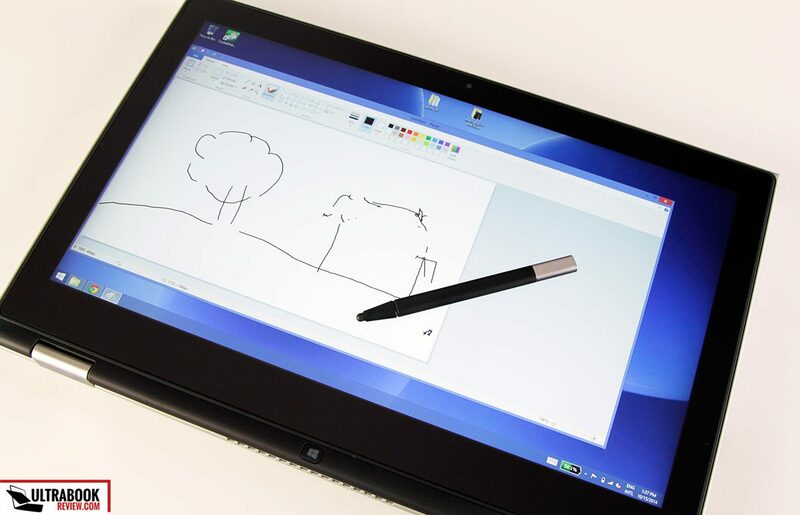 Question: I still love this 2-in-1 device, but the current 8GB DDR3 is not enough for me. I know there is only one Memorycard slot, but can I use a single DDR3 16GB RAM on this machine? 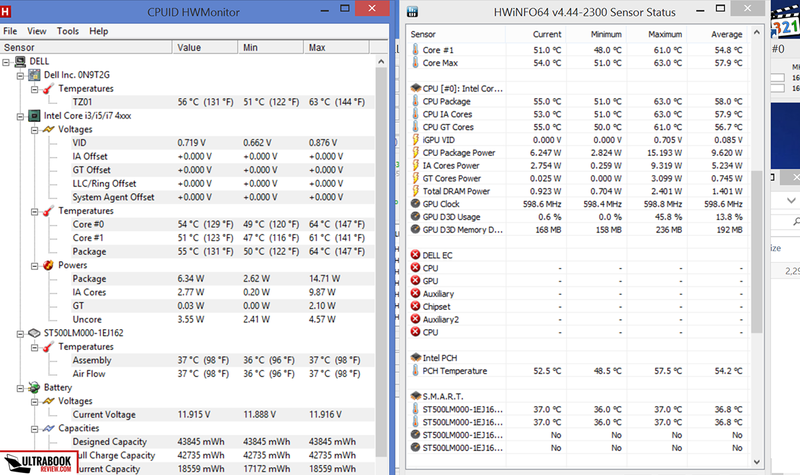 Hi, Just brought Dell Inspiron 13 7000 2 in 1 in the month of August, In the diagnostic test it came out that my battery was almost at the end of its life. It works for 15 min once when fully charged. I called Dell customer care, till now I have spoken to 3 representatives, they were very rude and told that they cannot replace a laptop. I wasted around 2 hours just to talk to them. don't purchase it, you will regret.